Abstract: As the iPhone, Huawei and other smart phones gradually become popular, the phone apps began to appear frequently in the majority of mobile phone users covering all aspects of people's life, like the restaurant reservation APP, travel App and map APP and other entertainment and functional Apps. To keep its competitive edge, Airwheel has designed its own mobile App. With the progress of the times and technology, people's demand for information is greater, with higher demand for mobility. Therefore, the rapid development of mobile app is the inevitable trend of development, at the same time, many app stores came into being which greatly improve the app download, and change the app download a very simple thing. To keep its competitive edge, Airwheel has designed its own Airwheel mobile App. There is a major movement for Airwheel earlier in 2017 with four brand news products released, C6 open face helmet, C8 full face helmet, Z8 small wheel electric scooter and R3 electric assist urban bike. C6 and C8 are designed for motorcycle riders, Z8 is more suitable for kids and R3 is better known for its multiple ride styles. Yet, they have one thing in common—that can be connected to mobile phone. 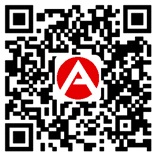 The App can be downloaded from the official website by scanning the QR code as long as your smart phones support Android 4.3 or higher or App store iOS 7.0 or higher. After installing App in your phone, you can look over information at any times, whether it is a smart helmet or an electric scooter. Concise design of App interface brings a better riding experience. The App can position Airwheel mars rover all day and kinds of data is in control. The central control chip equipped in the inside will collect data and wirelessly transmit it to your phone. Through instant analysis and arithmetic, it can get visual data, which can feedback to the user by App in real time, data statistics, travel path, vehicle positioning and burglar alarm all included. Moreover, thanks to the smart phone app, riders can adjust and monitor the Airwheel mini electric scooter comprehensively to make one key to unlock and to adjust a variety of gears come true. See More Airwheel APP Details from Youtube.